I've been looking into some built-in cabinetry ideas for a client of mine lately. It's something that really needs to be thought through and designed specifically for your space. 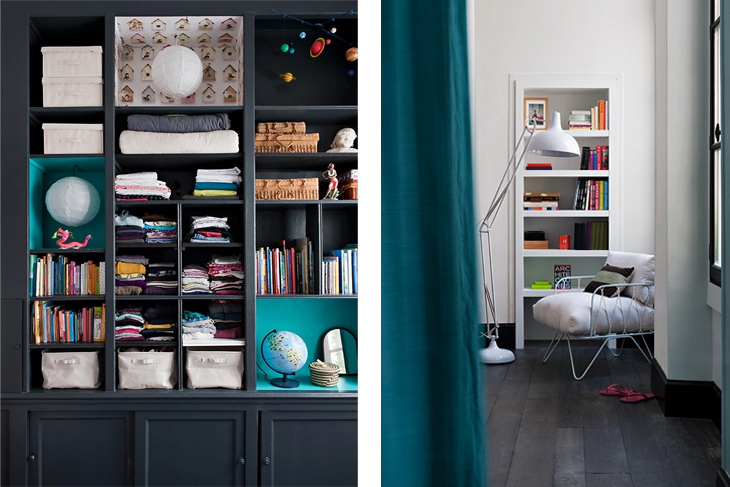 Taking into consideration the style of room, the proportions of the room and what it is you're wanting to put on display and what you want to hide. So modern and simple. The white lets the colours of the books, accessories and the floor rug really pop. I love how they have painted the inside of some of the shelves in a different colour. And it seems as if they have transformed an unwanted cupboard into open shelves for a reading corner. A fabulous low built in cabinet in white lightens the space, while giving you some extra space to display art and accessories. 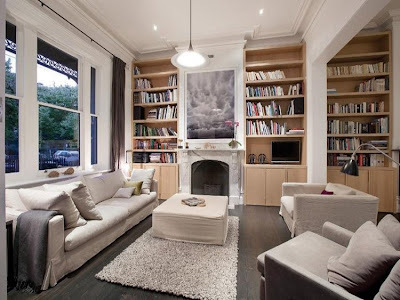 Practical use of the spaces beside the fireplace. I love how these shelves are not only a part of the wall, but become part of the bed by acting as a headboard too. Built in desk space with extra shelving above. 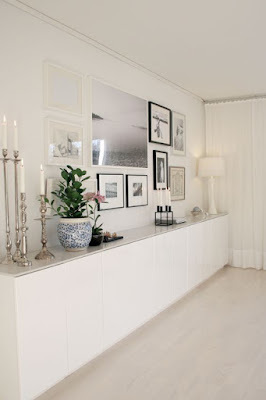 Dark shelving on a light wall can add a bit of interest to an otherwise plain wall. Loving that yellow sofa too! 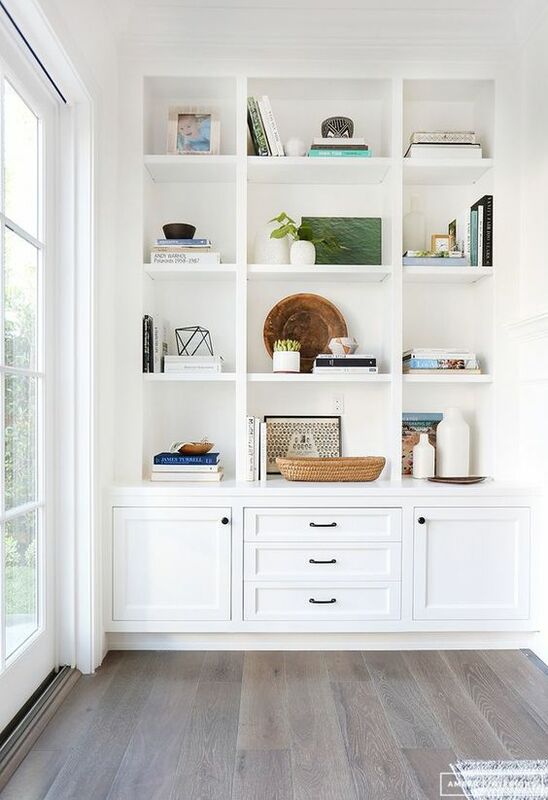 Some more all white built in cabinets and shelves offer great space to display books and accessories while being able to hide away more mess.